Portland’s Lewis & Clark Law School helps to make that dream come true, with flexible schedules, financial aid, and a collaborative community. Apply now for Fall 2019. At Lewis & Clark, legal skills such as writing, investigation, analysis and presentation are taken very seriously. Students apply what they learned in clinics, working with actual clients and cases right from the start. Lewis & Clark Law School offers a comprehensive legal education with nationally recognized signature programs including Environment, Natural Resources and Energy Law, Animal Law, Business Law, and Criminal Law. Lewis & Clark Law School alumni hold leadership positions in corporations, federal, state public agencies, NGOs, academia and more. The appeal of Portland is no secret. Almost from the beginning entering law school, students are supported by practicing attorneys, faculty and peers in a mentoring network. At Lewis & Clark Law, we value collaboration as well as intellectual rigor. Here, students come first – and faculty and staff share a single commitment: our students’ success. Courses are open to law students, lawyers, and college graduates interested in law. Housing is available on-campus or in nearby neighborhoods. We invite prospective and admitted students to come and explore Lewis & Clark Law School and the wonderful city of Portland. You can schedule a tour, set an appointment with an admissions director, or sit-in on a class. If you’re unable to visit in person, we can schedule a phone or Skype appointment. 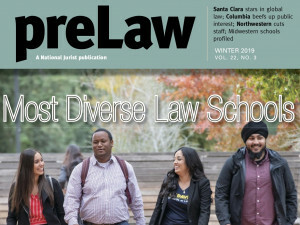 Lewis & Clark Law School affirmatively seeks a diverse academic community of students who have demonstrated significant professional promise and the capacity for excellence in law school. The school selectively admits candidates who have the desired intellectual talent, motivation, and high ethical character, from a rich variety of academic and professional disciplines. Applications are being accepted for Fall 2019. 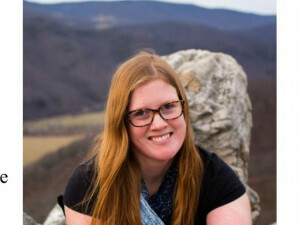 Lewis & Clark Law School student Teresa Smith, 3L, was recently named the national 2019 Pro Bono Publico Award recipient, recognizing Smith’s exceptional pro bono contributions to the community. In the winter issue of preLaw magazine, Lewis & Clark Law School is given an A+ for its environmental law program and A- for Diversity. 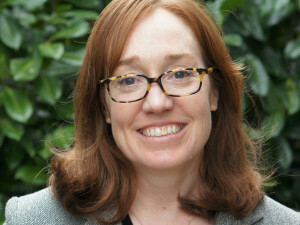 Sarah Lora, a new clinical professor for the law school, will lead the Lewis & Clark Law School Low Income Taxpayer Clinic (LITC) starting in June 2019, replacing beloved faculty member Jan Pierce, who is retiring after 19 years of clinic leadership.